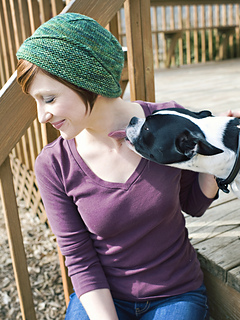 This pattern was originally designed for Knitscene Winter 2012 and is now available for purchase on Ravelry. 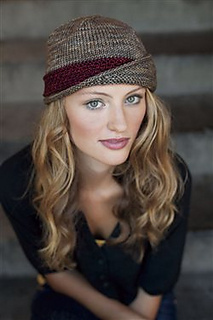 Women’s vintage style cloche featuring a short row, fold-over brim and woven, contrast band. Brown sample shown in Madelinetosh Tosh Vintage in Hickory (MC) and Tart (CC). 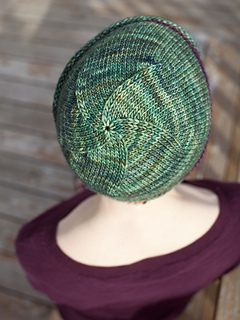 Green sample shown in Madelinetosh DK Twist in Tannenbaum (MC) and Sanguine Gryphon Codex in And Sing Myself (CC).